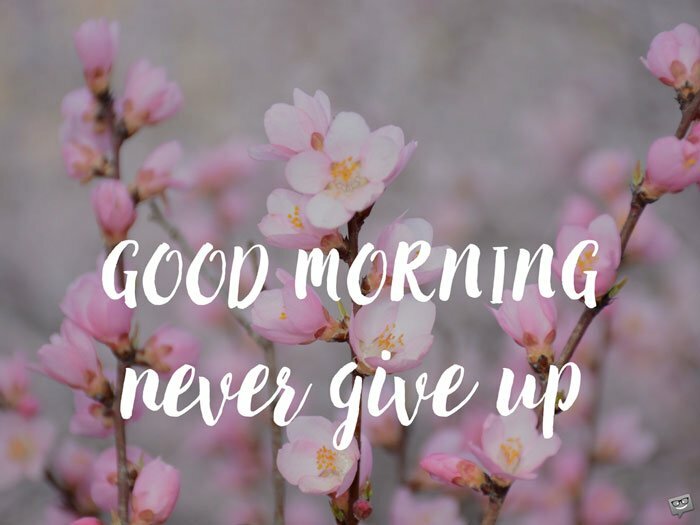 Are you finding it somewhat challenging getting the right words and phrases to write a lovely and truly inspirational good morning message to a loved one or an acquaintance to start their day right? Fortunately, we have a lot of sweet messages and wordings right here that can help you achieve your aim. So go through our fine selection and uplift someone’s spirits. Keep on keeping on, and one day you shall look back and marvel how much you have accomplished in life. Never give up. Good morning. 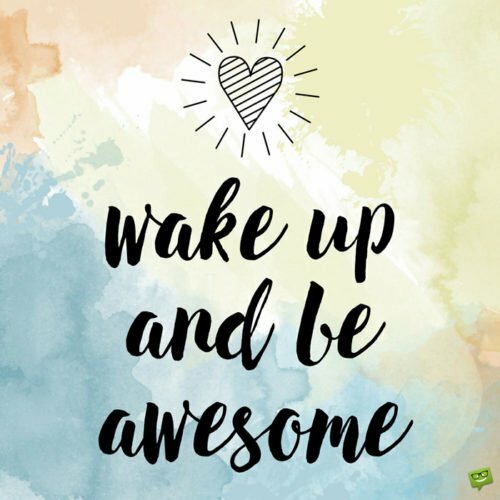 Start this day with the knowledge that fabulous people like you make this world a better place. May you forever stay as wonderful as you are. Good morning! With God by your side, you shall power through all obstacles in your way. Have a tremendously beautiful morning. Whenever I look at how far you have traveled despite the immense obstacles on your path, I become so proud of you. 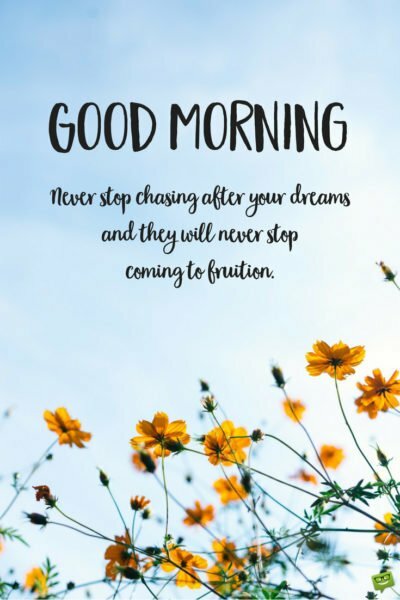 Keep it up and have an absolutely beautiful morning. Wishing a gloriously lovely morning to a dear friend. My dear, everything you ever wanted in life will destroy all the barriers in their way to get to you if you just believe in yourself as much as I believe in you. Good morning to a wonderful friend blessed with a remarkable gift. Never stop chasing after your dreams and they will never stop coming to fruition. Good Morning. Never stop chasing after your dreams and they will never stop coming to fruition. May you always see your failures as great opportunities to learn and become a better person. Good morning. Since time immemorial, all who have walked with the Lord have been prosperous and happy people. Walk with Him and you shall always know true joy. Good morning! 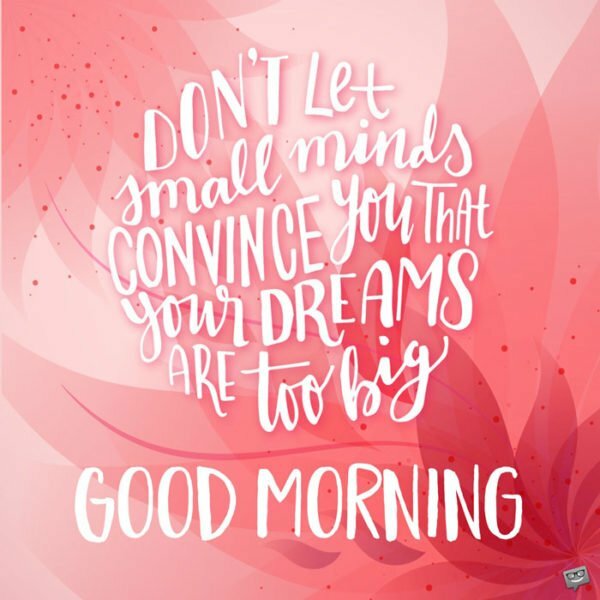 Wonderful things await you today! Go out with confidence and grab them. Good morning. Have faith in your potentials and you shall be the recipient of the most wonderful things in life. Good morning. Determination and hard work today will definitely lead to success tomorrow. Good Morning. Rise and shine, sweetheart! As you begin this day, may you never forget that with God’s strength in you, there’s nothing you cannot do. I love you. Good morning, babe! Tackle this brand new day knowing that I have complete confidence in you. Thank you for being the only sun that shines brightly and beautifully in my sky. Sending you a beautiful note with all my love to help you stay motivated throughout this beautiful day. Good morning. Honey, the day hell freezes over is the only time I will stop having faith in you. I’m so proud of you. Good morning. To say that I am blessed to have a wonderful person like you in my life who inspires me every blessed day is a huge understatement. You’re as irreplaceable to me as the air that I breathe. Good morning, my love. Start this beautiful day with the knowledge that God has a truly amazing plan for you. 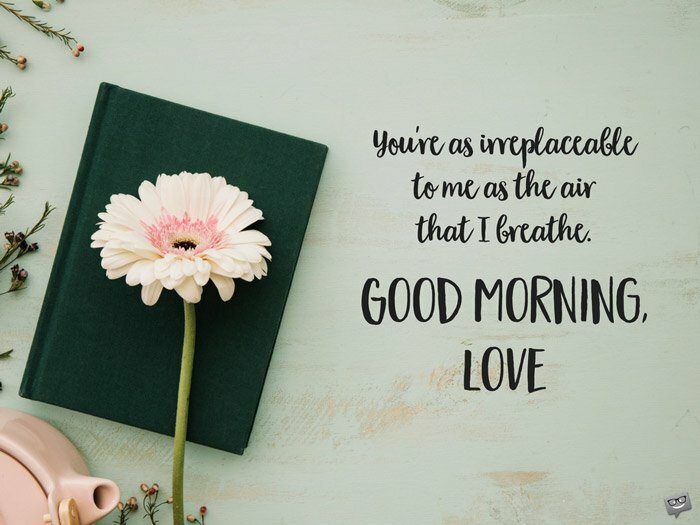 Wishing you a morning that is as sweet as your kisses. Babe, you are not only my sweet love but also my number one source of inspiration. Good morning. You’re as irreplaceable to me as the air that I breathe. Good Morning, Love. In my eyes, you shine brighter than Venus. May your day shine as bright as you! 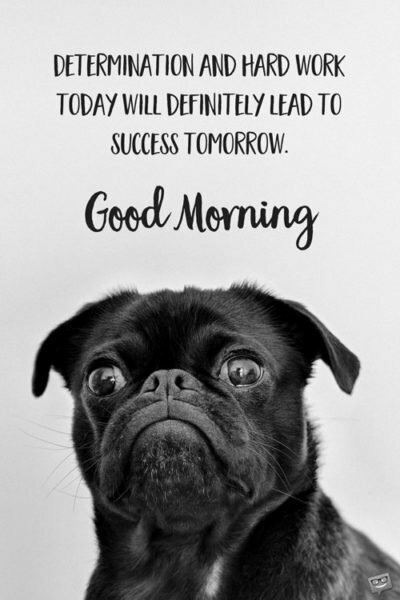 Have a beautiful morning! Good morning. Thank you for being my best friend, my lover and an inspiring role model to me. Darling, as you rub the sleep out of your eyes and prepare for the activities for the day, do know that many a person would kill to be in your shoes. You’re remarkably blessed. I hope you never forget that. Good morning. 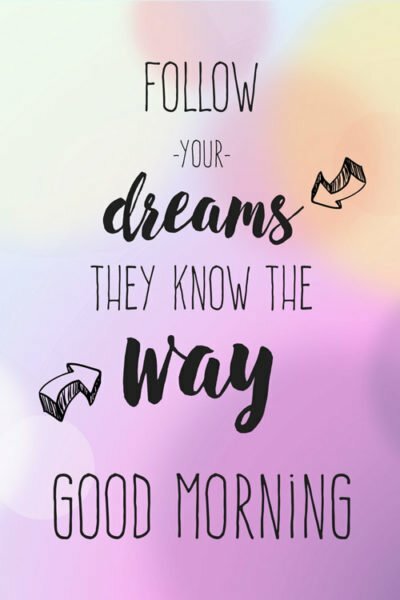 Follow your dreams. They know the way. Good Morning. The road isn’t an easy one. However, if you keep up your efforts and never give in to despair, you will surely achieve all the desires of your heart. Good morning. When you run into an obstacle on your path to success, don’t give up, for you have within you the power to conquer it. Have a lovely day. Determination and hard work today will definitely lead to success tomorrow! Have a magical day! If you have self-belief, courage and perseverance on your side, you can move mountains! Wishing you an utterly beautiful day. Having faith in yourself is the easiest and surest way to succeed on planet earth. Good morning. Since the beginning of time, happiness has always come from within. May you never search for happiness outside yourself. Good morning. Success in life belongs to phenomenal people like you who have deleted the word “impossible” from their dictionaries. I hope you have a truly lovely morning. This day comes only once in your lifetime, so try your best to make the very best of it. Start it with nothing but absolute positivity and beautiful things shall come your way. Good morning. Good morning! You might not be the world’s wealthiest man/woman, but you have been blessed with life – a treasure more precious than all the money in the world. Be grateful and enjoy it to the max! Whatever happens today, put happiness in your heart knowing that you have achieved more in the short time you’ve been on this earth than most people would ever achieve in multiple lifetimes. Good morning. You’re such a special person who brings out the best in everybody around you, and that is why my faith in you has no limits. Have a beautiful morning. The road is tough and dark, but don’t give up. Keep pushing harder and putting your faith in God. At the end of the day, He will certainly bestow remarkable blessings upon your for your faithfulness. You might be going through a very unpleasant time in your life, but do know that despite the difficulty currently confronting you, there are many out there who you are still better off than. Count your blessings. Good morning! 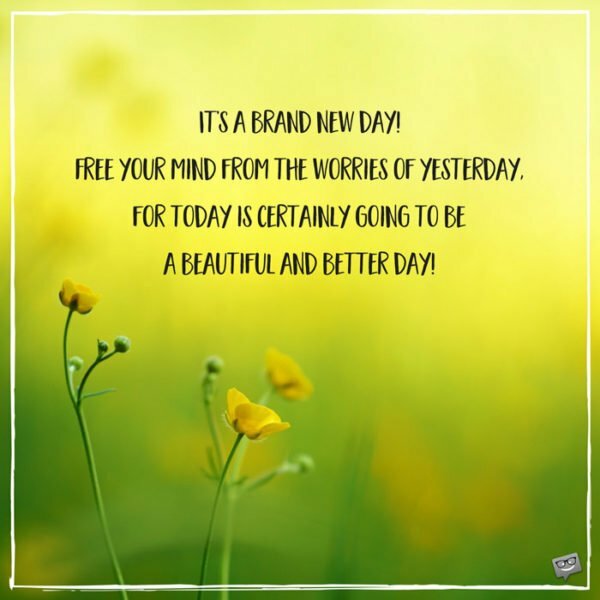 It’s a brand new day! 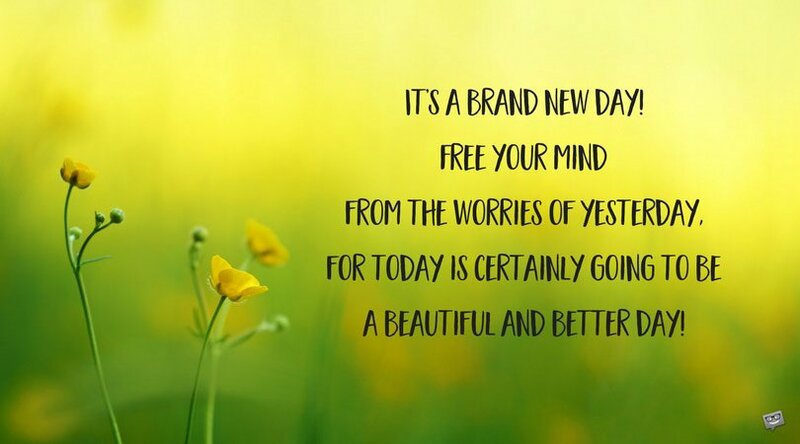 Free your mind from the worries of yesterday, for today is certainly going to be a beautiful and better day! Good morning, my dear. No matter how dire your situation in life has become, please don’t give up, for your breakthrough is right around the corner. Keep holding on, for you are surrounded by people who love and care about you. We will carry your burden with you and fight your battles with you. Have a pleasant morning! Sometimes God breaks you just so He can put you at the right position to receive His tremendous blessings. Don’t despair, for God knows exactly what He is doing. Good morning. Your happiness is on the horizon, so don’t give in to the troubles trying to drown you. Good morning. Whenever your woes in life become so unbearable, it is one of the clearest signs that you are right on the edge of overcoming them. Just persevere a little bit longer. No matter how difficult and tough times may get, doing something as simple as putting a smile on your face and being optimistic can make all your troubles disappear. Have a beautiful morning. Have faith that things will change for the better, and they certainly will. Have yourself a very beautiful and peaceful morning. The battle isn’t easy, but I know you shall win it because you are a fighter. It is a privilege to know such an outstandingly strong and courageous person like you. Good morning! Good Morning. Never give up.